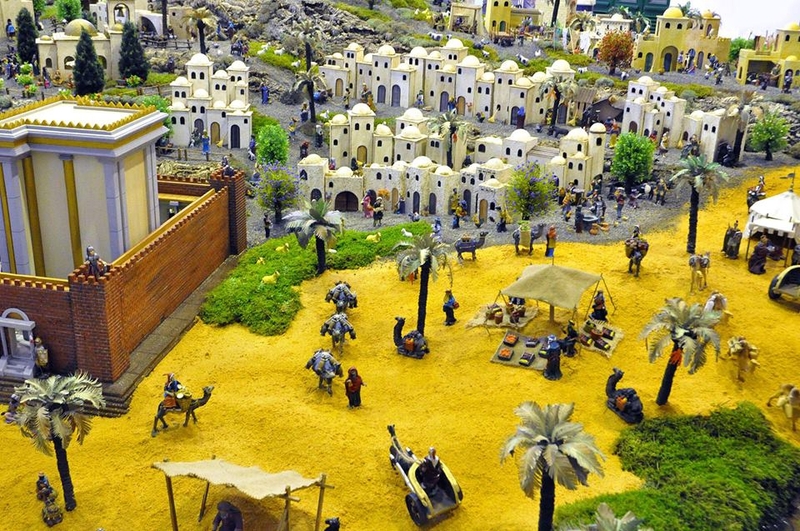 Vila Real de Santo António's nativity scene has once again taken centre stage in the town's Christmas Village. The famous nativity scene in Marquês de Pombal square is massive and well worth a visit. Plus, there's a great programme of entertainment in the town's Christmas Village, including music and dance performances, crafts and gastronomy fairs, carrousels, bouncy castles, a Santa’s Grotto with fun activities for kids such as face-painting and balloon modeling. Entry to the Christmas Village is FREE and it can be visited every day between 10am and 7pm. The nativity scene is housed in the António Aleixo Cultural Centre and is open to the public every day between 10am and 1pm and 2.30pm and 7pm (except on January 1st when opening hours are between 2.30pm and 7pm). Admission is 50c, which will go towards helping local children in need. On 5th January, to mark the Christian celebration known as ‘Dia dos Reis’ (Epiphany) there will be a special visit from the Three Wise Men from Ayamonte, Spain at 11.30am.